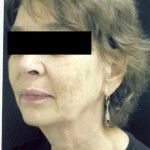 As we age, there are many factors that can affect the elasticity and appearance of our skin such as sun exposure, stress, lifestyle, and genetics. This can be distressing to people who look in the mirror and no longer feel like they are looking at themselves. A facelift can be the perfect solution for individuals who are experiencing loose or sagging skin, wrinkles, or excess neck tissue. 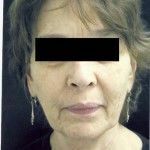 There are different degrees of facelifts and we realize not all patients want an extreme procedure. That is why we offer two variations of facelift procedures at the Greenwich Center for Plastic Surgery - a short scar facelift and a facelift. 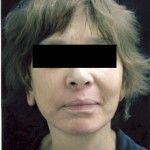 This type of facelift is perfect for those with moderate facial aging who are just looking for a slight touch-up. It creates a mild to moderate improvement in appearance and can be performed in under an hour under general anesthesia. 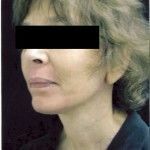 Typically patients are able to return home the same evening and there is a much shorter recovery time compared to a facelift. 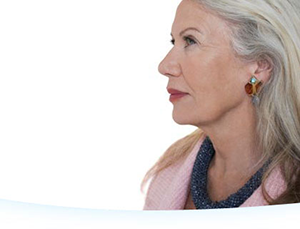 The facelift procedure involves several small incisions being made around the temples, ears, and if needed, under the chin. The skin is then separated from the fat and muscle and any excess fat is removed. The loose muscle tissue is tightened and then the skin is pulled back into place, with any excess skin removed. The procedure requires an outpatient visit and patients typically stay in the hospital for about a day. The procedure sometimes takes several hours and can potentially require two separate visits. After the procedure, a drainage tube may be placed behind your ear and your head may be wrapped in bandages. These will both be removed the day after surgery. Pain is minimal although your face may be bruised, swollen, or numb for a few weeks. Stitches are removed after about five days, with sutures potentially needing additional healing time. It’s important to not partake in any strenuous activity for at least a week post-op, and you must be extra gentle to your hair, hairline, and face. Most patients look and feel better after three weeks and many can return to work after two weeks. Like all surgical procedures, facelift surgeries come with potential risks. These risks include hematoma, permanent nerve injury, infection, negative reactions to anesthesia, and abnormal scarring (this risk is seven times more likely in smokers). These risks very rarely occur and the Greenwich Center for Plastic Surgery has a highly trained staff, years of experience, and an excellent record of success, so you can be assured that you’re in good hands.